Our Pool Salt is only $9.99 for a 40 lb. bag. 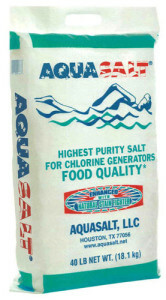 Pro’s Pick Quick Dissolve Plus Pool Salt is a product you can trust. Sound too good to be true? Come in and see for yourself, and save today!